This book was...odd. Really, odd is the only word I can use to describe it. It is an interesting story and I was turning the pages to find out who AO was and what the outcome would be for Peter after committing multiple murders. There were obvious theories in my mind, but what it turned out to be – well, I was kind of disappointed. The story definitely had a creepy vibe and some graphic kill scenes. I'd be interested to see what others thought because there were connections to be made that were not obvious to me but would probably be to others. I won't say what because I don't want to give anything away. If the synopsis interests you, I say give this a read and come to your own conclusion. Hunter Shea is the product of a childhood weaned on The Night Stalker, The Twilight Zone, and In Search Of. He doesn’t just write about the paranormal—he actively seeks out the things that scare the hell out of people and experiences them for himself. Hunter is an amateur cryptozoologist, having written wild, fictional tales about Bigfoot, the Montauk Monster, the Dover Demon, and many new creatures to come. Copies of his books, The Montauk Monster and The Dover Demon, are currently on display in the International Cryptozoology Museum in Portland, ME. He’s proud to be one half of the Monster Men video podcast, along with his partner in crime, Jack Campisi. It is one of the most-watched horror video podcasts in the world. Monster Men is a light-hearted approach to dark subjects. Hunter and Jack explore real life hauntings, monsters, movies, books, and everything under the horror sun. They often interview authors, crytid and ghost hunters, directors, and anyone else living in the horror lane. Living with his wonderful family and two cats, he’s happy to be close enough to New York City to get Gray’s Papaya hotdogs when the craving hits. His daughters have also gotten the horror bug, assisting him with research, story ideas, and illustrations. You can follow his travails at www.huntershea.com. 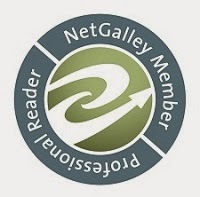 Sign up for his Dark Hunter Newsletter while you’re there! 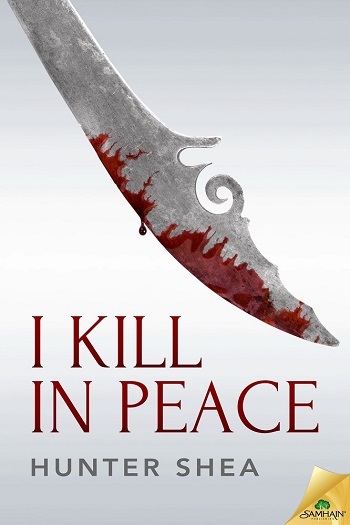 Reviewers on the Wicked Reads Review Team were provided a free copy of I Kill in Peace by Hunter Shea to read and review.